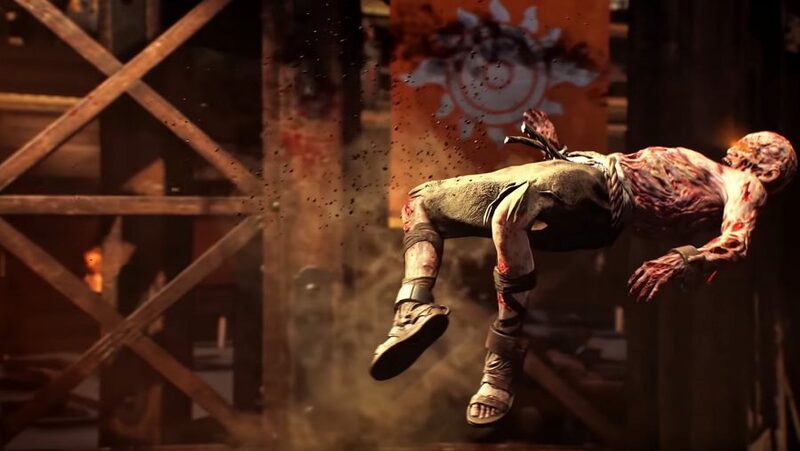 If you want to make it very far at all in Call of Duty: Black Ops 4 Zombies then you will need to learn how to unlock the Pack-a-Punch machine for each of the maps. IX is arguably the easiest map of all three available at launch in terms reaching a high round count, but unlocking its secrets and mysteries is pretty tough. Case in point, finding the IX Pack-a-Punch machine can be very difficult if you’re not paying close attention to the map. In this guide we’ll show you how to unlock the IX Pack-a-Punch machine as efficiently as possible so you can start upgrading your arsenal before the undead overwhelm you. However, before we get started it’s important to point out that this guide contains spoilers, so if you’d rather figure it all out for yourself then we advise you to head elsewhere, perhaps our Call of Duty Blackout tips? You can find the IX Pack-a-Punch machine under in the dungeon directly beneath the starting area, but it won’t actually spawn in and become useable until you complete a ritual. So from spawn, you’ll want to rack up enough points to open up a one of the two available gates with the blue insignia over them: one leads to the Temple of Danu, the other to the Temple of Ra. Go up stairs and look for a gong, interact with it, and then wait for a boss to enter the room. Use melee attacks and whatever spare ammo you and your teammates have left to take down this gruesome gladiator, then grab it’s head which will drop when you defeat it. Simply target the head or either shoulder of this enemy to knock some armour off then continue shooting at the exposed flesh to get the kill. Your squad should have banked a good number of points by now, so head straight to the other blue gate in the spawn area, open it, grab an SMG or shotgun off the wall, and head upstairs to ring another gong – If a new wave of zombies is due to arrive then take the fight to the main gladiator pit as there’s a lot more space here. Same process as before: shoot at any exposed flesh and then grab the head off the corpse. You’re now half way there and should have accrued a good number of points across the team. Things get a little trickier for the next section as you will need to head underground and find the gates for the other two temple towers – one will have a viking aesthetic while the other will be a Greek bathhouse overflowing with blood. While you’re roaming around underground you’ll want to unlock any extra gates you come across as this will make getting around a lot easier. Likewise, when you unlock both the Viking and Greek temples you’ll also want to unlock the gates at ground level that lead back to the main arena. Once all of these paths have been opened up you need one teammate to act as bait for the last zombie of the round while the rest of you combat to the remaining gongs: one will spawn tigers, so try to take them down quickly before they overwhelm you. Grab the final two heads and then return to subterranean section of the map in search of the central dungeon. Once there, approach the central slab of stone and interact with the four spikes protruding from the ground. This will place a head on each spike thus completing the ritual and summoning in the IX Pack-a-Punch machine in the middle of the room. The resultant blast will also open a couple of doors, making the Pack-a-Punch machine much easier to access. There you have it, how to unlock the IX Pack-a-Punch machine. This should be easily accessible within the first ten rounds, allowing your squad to upgrade their weapons before the map starts to get really challenging. If you’re looking for the Voyage of Despair Pack-a-Punch then head here for a breakdown of how you can access it.